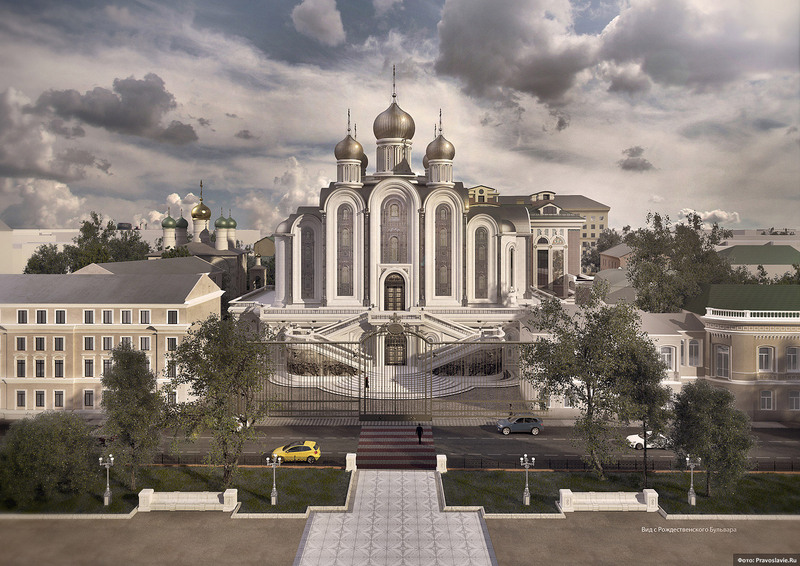 The new Cathedral, according to the Church, will serve as an eternal monument to all brave Orthodox people who were murdered for their faith by the Communist regime. Its completion, and subsequent blessing by the Patriarch are planned for 2017, on the 100th anniversary of the Bolsheviks grabbing power, and the anti-Orthodox atrocities that followed. 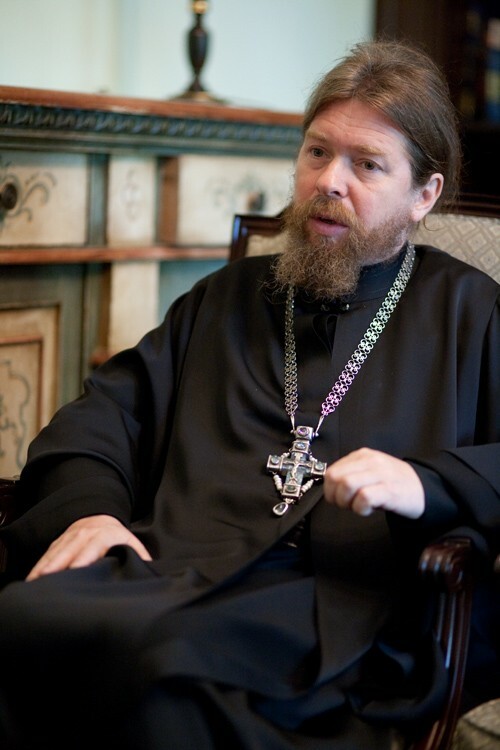 the current head of the Sretensky Monastery who will be staying on in charge of the new Cathedral and so, of course, supports the project , his faithful have for some time now been complaining that the old church building is too small for the growing flock, causing some believers to have to stand outside for prayers, which is unacceptable (but for Muslims to pray in shopping center parking lots is fine, of course ). and will be the Church's largest construction project since the rebuilding of Christ the Savior Cathedral in the 1990s. In fact, it will rival that holy building in sheer size, grandiosity, and splendor, as well. It will include several floors of underground parking, among other things. The Church is counting on pilgrims from all over Russia, as well as Orthodox from Ukraine, Belarus, Kazakhstan, etc, traveling to the new site en masse every year, to pay respects to the martyrs. That is probably also why the municipal government is supporting this. But the Moscow Architects Union, as well as the youth movement "Arkhnasledie" ("Architectural Heritage"), which fights to preserve historic buildings, are opposed to it, and are preparing to take their opposition to court. They are arguing that the Church wants to destroy an important piece of Russian history in the name of more religious propaganda (their spokesman's words). A) Can't they put it somewhere else ? B) Who's paying for it ? B) The Church and the government, which, I suppose, means we are, as believers and taxpayers. That would be just 'taxpayers' then because I doubt non-theists or people of other denominations will get a tax exemption. What's it gonna cost anyway ?